Get ready to explore early European history and culture, as it happened, with the first 2 million digital pages of the Bibliothèque nationale de France (BnF). 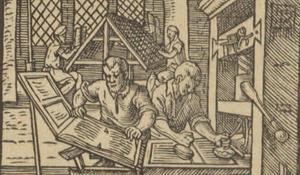 When complete, the project will give researchers cover-to-cover access to more than 28,000 rare European books printed from 1400 to 1700-–10 million pages!-–in crisp, fully searchable images. The BnF’s collection is vast, including 3,000 incunabula--works printed before 1501--and many rare and obscure texts. The books come in many forms, with popular chapbooks (widely distributed but rarely preserved) at one end of the spectrum, all the way to luxury editions, which were aimed at a wealthy audience. 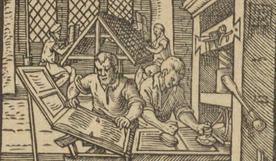 Currently, approximately 5,800 titles are available in Collections 4 and 6 of ProQuest’s Early European Books, allowing researchers around the world to benefit from the Library’s centuries of acquisition and preservation. From alchemy, early medicine, science, and botany to art, philosophy, poetry, and theology, this treasure trove of source material makes a wise investment for libraries looking for interdisciplinary coverage. Take a look at some of the stunning books in this collection here.